Beretta recently announced its newest competition variant of its famed 92 series, the 92G Elite LTT. Long-time competitor and Beretta partner Ernest Langdon of Langdon Tactical contributed to the new pistol’s design. The 92G Elite LTT serves as a blend between two popular variants, featuring an M9A1 frame topped with a Vertec slide. The result is a platform designed to deliver the highest level of competition performance in 9mm. The pistol features front cocking serrations, a dovetail fiber-optic front sight and a square rear sight. Also, a 4.7-inch barrel sports a target crown. Meanwhile, the M9A1 frame includes checkering on the front and back strap, along with a beveled magazine well. Thin VZ/LTT G10 grips, a stainless steel trigger, oversize magazine release button and skeletonized lightweight hammer round out the package. “Our aim is to really show that the 90 series is a premier pistol in its field,” Stern said. “One of the ways we can do that is to have people like Earnest who have been out winning with competitions, winning with the gun, and shooting with the gun for their entire military career, as Earnest carried an M9 when he was a Marine, who come in and help us to smooth over things that have been seen in the market as deficiencies. For more information, visit beretta.com. 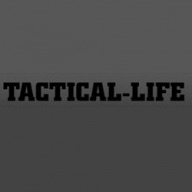 The post VIDEO: Langdon Tactical Helps Create Ultra-Fast Beretta 92G Elite LTT appeared first on Tactical Life Gun Magazine: Gun News and Gun Reviews.